Ryan Olson of Gayngs‘ other group Marijuana Deathsquads released their debut album Crazy Master in November. The whole thing can be streamed or purchased at their Bandcamp. For even more check out their session at Daytrotter. 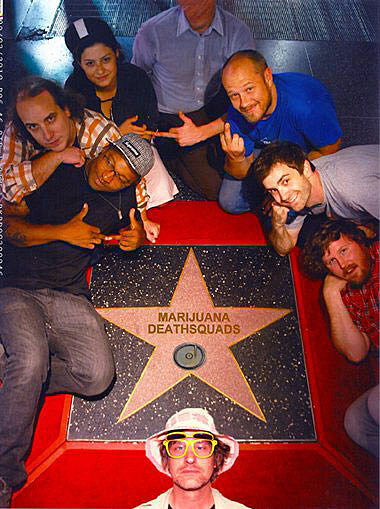 Marijuana Deathsquads and sometimes Gayngs member/Deathsquads collaborator and fellow Minneapolis resident Har Mar Superstar, like they did in NYC, will take up residency in Austin. 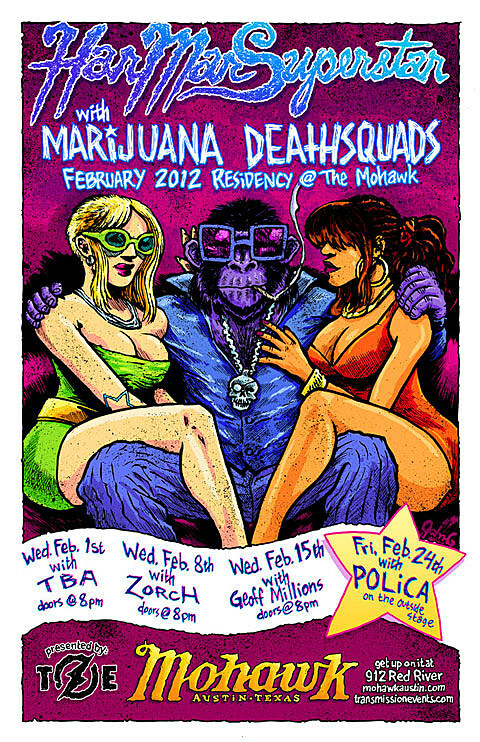 The four Austin shows take place at the Mohawk every Wednesday in February, culminating on February 24th with special guest Minneapolis headliner Polica whose frontwoman Channy is also in Gayngs. Har Mar promises a bonafide dance party each week. The residency poster is below. Polica‘s debut album Give You the Ghost is out February 14 via Totally Gross National Project. Get a free track from that LP now at HobNob Wines’ Facebook page. Speaking of Gayngs members, look for Bon Iver on SNL on 2/4.